Aren't hotels are called just that around the world? But not always even there. ...so it pays to know some of the other names you should be looking for. The term B&B has become global, but they also have names that they are known by in their home country. And that's handy for tourists. 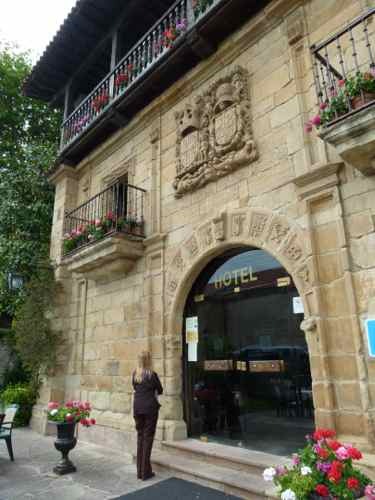 We found this great little hotel in Santillana del Mar in Spain. That doesn't mean that every establishment that has rooms for rent to tourists will be signposted as such. So how do you find hotels in any language? If you're looking for a place to sleep in the United States, you might want to look for a "lodge" or an "inn" or a "motel" or a "motor inn". In the United Kingdom, you can look for any of those and add "pubs" to the mix. ...and not have rooms at all. If you're not sure, stop and ask. Someone is sure to be able to give you advice and help find a place to stay. And if you're looking for a big hotel, it may just have that big brand name on the sign, but you should be able to tell that it's got plenty of rooms. You're not going to spend the night there... you hope! There are a variety of terms you might come across in France. Look for "l'hostellerie", "auberge", or "residence". You might also look for big chains that just use their names... like Novotel. 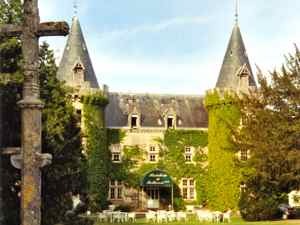 Look for a castle or manor house that may be listed as "Relais & Chateaux" which is the name of a high end chain of castles, and manor houses. You may see individual establishments called just a "Chateau." We love splurging on these once in a while. But here's a tip... they might not be that much more expensive than a regular hotel. "Logis" are smaller lodging places. A "gîte" are homes or rooms available for rent. Often for a week, but we have stopped and found places where we could stay just for a night or two. And if you see something advertised as a "Mas", you might be looking at a farmhouse style of accommodations. Just so you are aware, a Mas can be self-catering or have full luxurious amenities. And what are hotels called in Italy? "Albergo" means hotel in Italian. Also look for "Locanda". "Pensione" may sound like they would be B&Bs; they are actually small albergos that are usually family run. For the high end, you can look for "Palazzos" or maybe "villas". For interesting rural experiences, look for "agriturismos." Look for a "gasthof" or "gasthaus". They may or may not have an accompanying sign that sign "zimmers". If you're looking for a spa resort, you might look for something with "Bad" (bath) in the name. A small local place might be called a "pension"... or have one of those "zimmer frei" signs in the window. And yes, every traveler has a joke about that don't they? What are hotels called In Spain? You really should find one of their "Paradors" and stay in one. 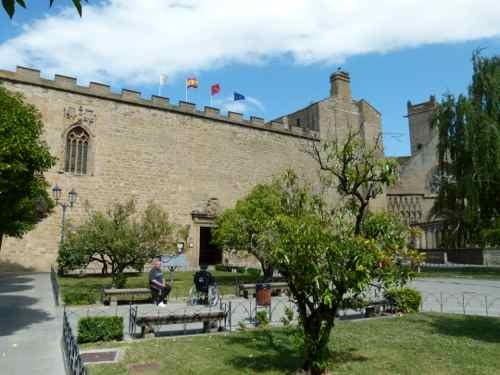 These are historic buildings, monasteries and castles that have been restored and now function as great places for tourists to stay. Other terms you should look for are "residencia" and "pension". As in Spain, look for stays in historic buildings. They are called "Pousadas" in Portugal. 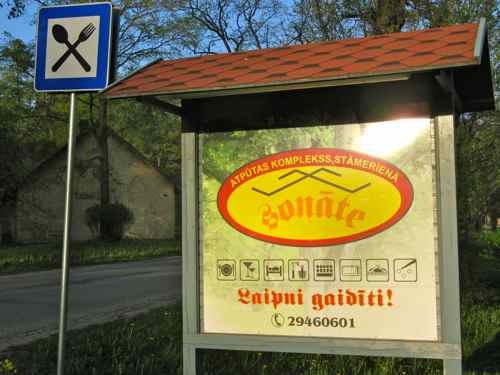 There are also small inexpensive local places to stay called "pensoes". In some European countries you may see "hotel garni" or just "garni". These have limited restaurant facilities (usually breakfast only) and other services, but are otherwise like other hotels and are rated by star systems in each country where you encounter them. So there are some answers to the question what are hotels called. We certainly haven't covered them all, but we must have got you thinking in the right way. Think now you could find a hotel in any language? If it looks like a hotel... why not stop and ask for a room? Who cares if it's called by some other name?